I always get really annoyed with myself at this time of year. As soon as the weather starts to warm up I feel the need to clean the house. Every year when this happens I always wonder why I didn't do more cleaning all winter when I was stuck in the house. Why do I always wait till the weather is beautiful to start cleaning out the house. All of this is to say that while cleaning out the fridge I came across two long forgotten lemons in the back of the veggie drawer. Just as I was about to throw them out I thought maybe we could find something fun to so with them before they hit the trash can. I cut the lemons in half and placed each half on plate with some different colors of tempera paint. We then pulled out a few pieces of large paper. 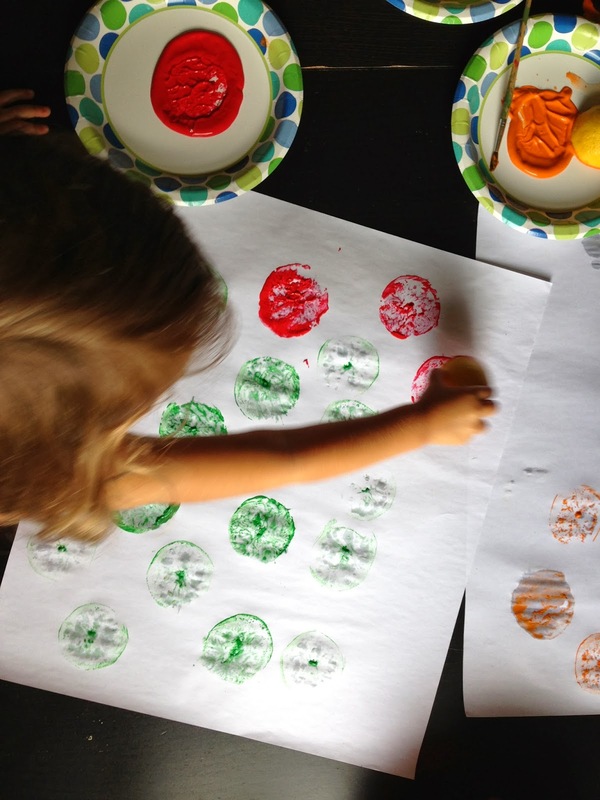 The girls then painted each lemon half with a brush and then stamped the lemon on the paper. They were amazed at seeing the patterns the lemon left on the paper. 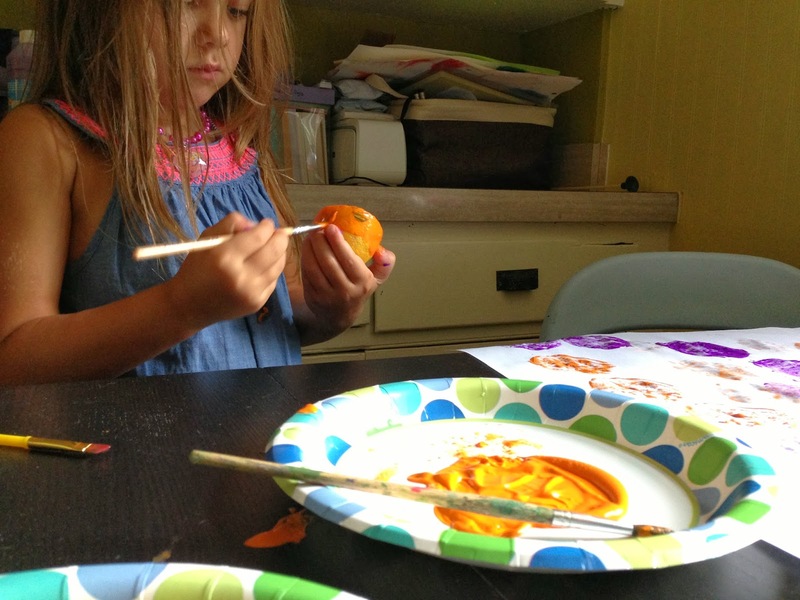 The Bean was a little disappointed at first because she had so much paint on her lemon that the lines didn't show up. 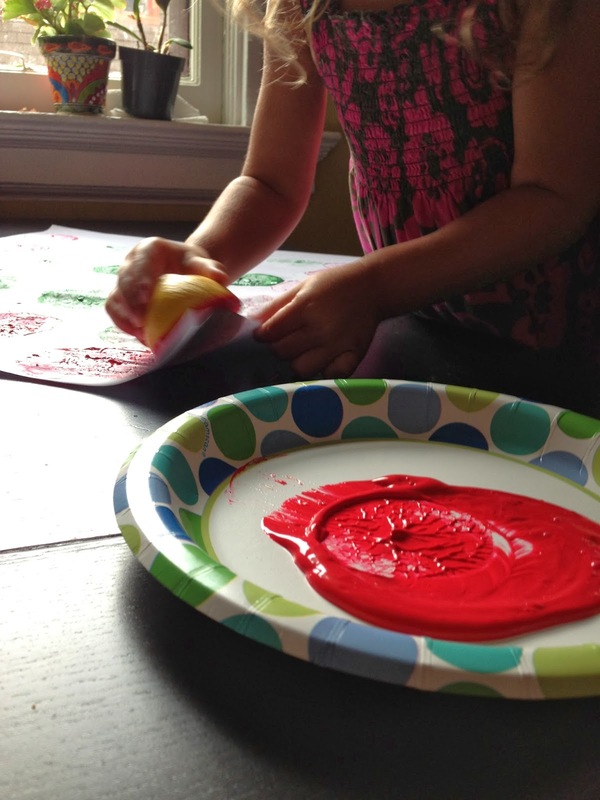 I showed her how to print the lemon with a little less paint so the lines would be clear. 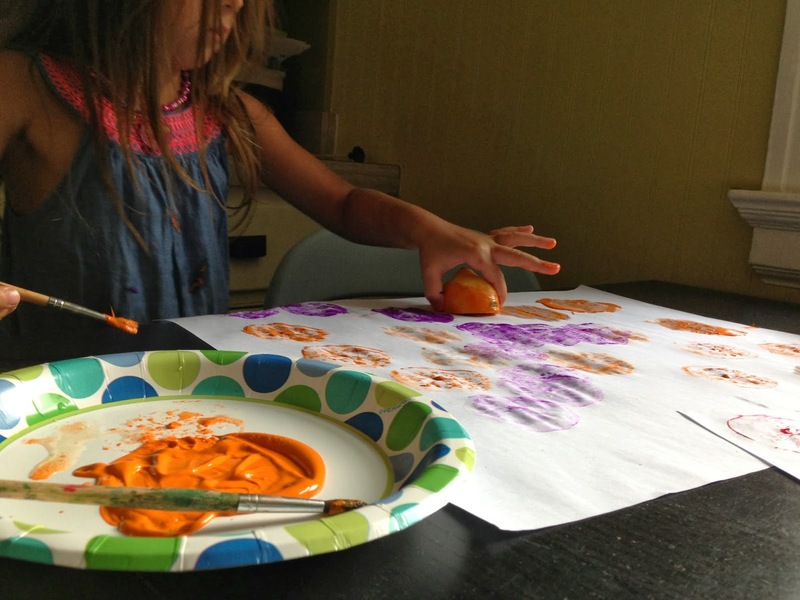 She then decided that she actually didn't want the lines to show up and painted back into the lemons she printed. But that how making art with three year olds goes. She was happy with it and who am I to say there is a right or wrong way to print lemons. 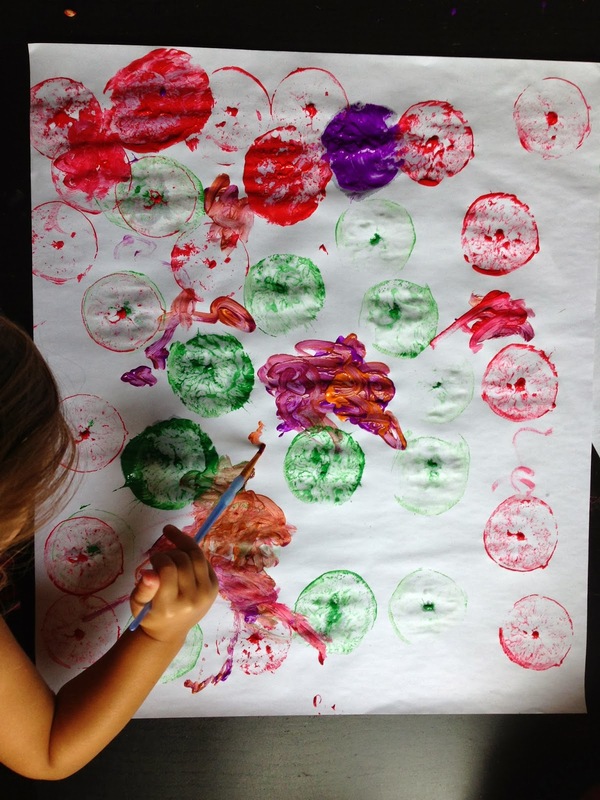 The Bee on the other hand loved meticulously painting the lemons and carefully stamping them on her paper. 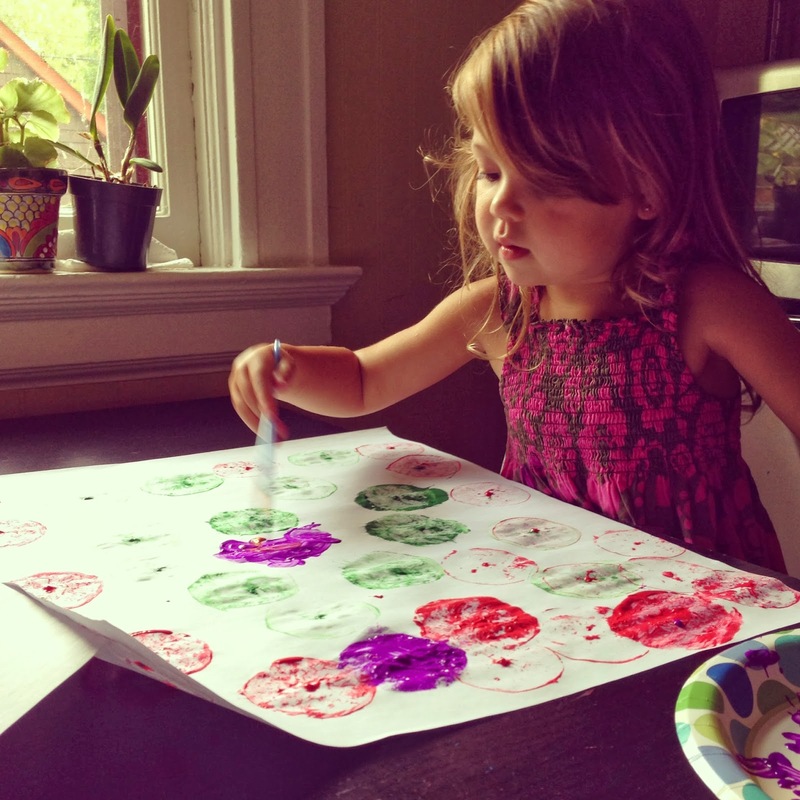 Both girls stamped several large sheets of paper. We let the sheets dry and have been using them as wrap presents. The large sheets have made the perfect wrapping paper and I see us making more in the near future! Do you want to buy magnetic name tags staples in Australia? Then visit Fast Fox Printing.